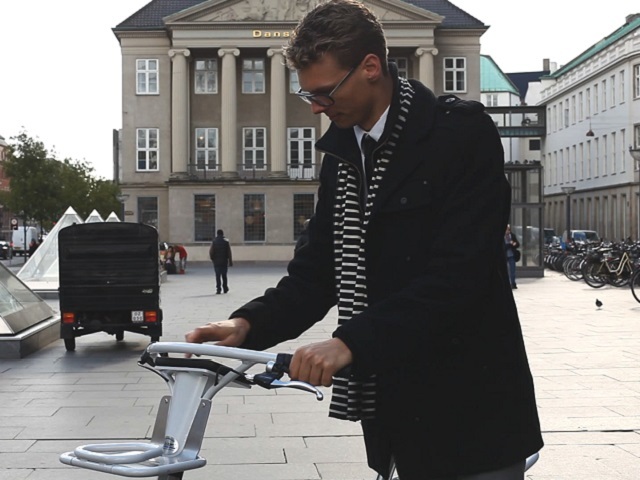 A passenger navigates Copenhagen’s streets on one of the new “smart bikes”. Gobike, Copenhagen’s new public shared bicycle scheme, is the first bikeshare system to integrate intelligent transport system (ITS) elements into its design. Photo courtesy of Gobike. Urban mobility systems are made to accommodate current mobility needs, and provide access and opportunities in cities. However, increasing urbanization and motorization – occurring primarily in developing countries – are contributing to a growing global challenge for transport planners and city administrations. It’s becoming increasingly difficult to develop and sustain a high level of mobility standards, which is crucial for urban prosperity. The solution has so far has too often been the expansion of existing physical infrastructure, which leads to more space for cars, and consequently more cars in the city – along with their entailed negative effects. Therefore, it’s necessary to develop solutions to increase the effectiveness and efficiency of existing urban infrastructure, and avoid the dedication of more urban space to cars. One such solution is to plan and organize traffic using intelligent transport system (ITS) measures. ITS can ease the overload of specific parts of existing infrastructure by guiding commuters to make the most efficient choice, both when it comes to routes (trip planners, intelligent traffic light, etc.) and means of transport (Smart cards covering all public transport, congestion charges, etc.). Previously, ITS had only been used for motorized transportation, but Gobike, a new public shared bicycle system recently introduced in Copenhagen, Denmark, marks the first attempt to incorporate ITS with non-motorized transportation. This scheme has great potential and provides even better reasons to choose a bicycle when going from point A to point B. By integrating a tablet computer and GPS devices, the new Gobike public bike share system gives users the opportunity to receive information on the optimal route and means of transportation for freight and people alike to reach their final destination. Adding ITS elements to bicycles is an excellent way to market bicycles as sustainable and smart alternatives to private cars. Bicycles can also be further merged with public transport and car pool systems with integrated ticketing systems in order to enable smoother transitions between various modes of transport. The introduction of the “smart bike” is a space-efficient alternative to the private car, and a key part of the solution to the challenged infrastructure of our booming cities. Gobike bicycles have all the standard requirements of the public shared bicycles that have gained momentum since the first generation of bikesharing was implemented in Copenhagen in 1998. The next step in this rapid development of the public shared bicycle is the incorporation of ITS, which will give users the opportunity to create a commuter profile and interactively connect with other modes of transport, easing their journey in the city. Additional potential applications include the provision of location specific information on traffic activities, public transport schedules, available shared cars, carpooling, opening hours of shops, and information on the nearest fellow cyclist on a shared bike for better security. By using the open Google Android platform, third party applications could also offer endless possibilities, and provide even stronger incentives for bicycles as a preferred private and public means of urban transportation. A Gobike passenger uses the tablet computer integrated with all of Gobike’s “smart bikes”. The computers offer passengers the opportunity to get optimal information about routes and connections to other public transport systems. Photo courtesy of Gobike. According to the United Nations Human Settlements Programme (UN-HABITAT), transport and planning departments – particularly in developing countries – consider more roads as the primary solution to an increased number of cars. This “solution” is used despite significant evidence from studies that show that more roads simply lead to more cars, which exacerbates the situation for all commuters. Smart bikes provide a motivation for focusing on assuring adequate access for all urbanites to the most efficient means of transportation instead of planning for cars. The ITS approach to urban mobility challenges organizes existing means of transport more efficiently, and smart bikes make ITS an even better tool in the toolkit of sustainable urban mobility. Gobike tackles the same challenges as other public shared bicycle schemes, like the “last mile” of a journey issue, and the missing links between public transport networks, while also including the advantages of ITS solutions such as those mentioned above. The result of this model will be better mobility solutions for commuters, and thus greater incentives to use public transport and reduce fossil fuel use, personal and societal health risks, inefficient use of urban space, and travel time. Copenhagen’s Gobike system has yet to prove its worth upon full implementation, but it can already be considered an important demonstration of integrating bicycles with ITS. Based on previous ITS success with motorized transportation, it’s likely that smart bikes will be an important element in breaking the current proportional increase of urbanization and motorization in our cities. This fourth generation of public bicycle share systems underlines that the bicycle is not – as often perceived – the poor man’s means of transport, but rather the wise man’s. 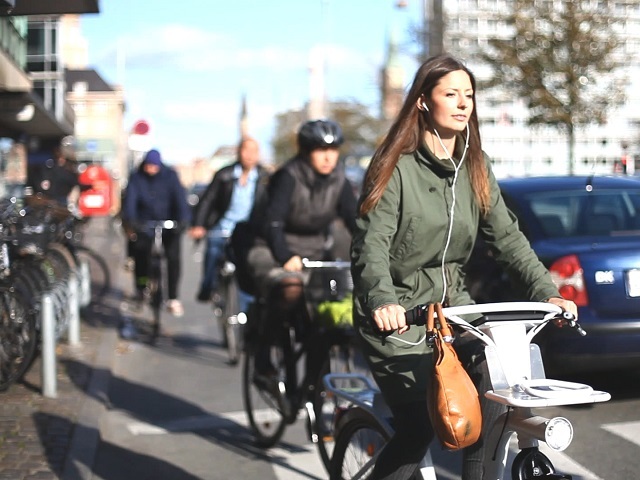 To learn more about Copenhagen’s new Gobike system, see their YouTube video here.